15-year-old domestic violence survivor, Bresha Meadows, was offered a plea deal at a pretrial hearing this morning at the Trumbull County Juvenile Court in Ohio. While the details of the proposed deal have not been finalized, our understanding of the terms is that Bresha will be under state control for a total of 18 months. This includes 9 months she has already spent behind bars and an additional 9 months of incarceration in a “treatment facility.” Bresha’s attorney hopes Bresha will be transferred from juvenile detention to the treatment center by May 22nd at the latest. A pre-trial hearing is scheduled for May 22nd. Bresha’s record, as it relates to this case, would be sealed on her eighteenth birthday. Without a plea deal, Bresha would face an aggravated murder charge for defending herself and her mother against the unrelenting abuse of her father, Jonathan Meadows. A conviction for aggravated murder could result in Bresha remaining incarcerated until she turns 21. While the #FreeBresha campaign believes Bresha should have access to affordable healthcare services that will support her well-being, we contend that care should not be offered in the context of punishment. Based on Bresha’s earlier statements that her time in the treatment facility allowed her more access to her family, we are hopeful that the treatment facility will at least be an improvement from juvenile detention. However, we maintain that being forced to be at a facility is not freedom and it is not care. It is also unclear if Bresha’s family would be forced to pay for mental health services ordered by the court in the context of continued incarceration. We also reject the manipulation of plea deals that force people to submit to imprisonment out of fear of longer sentences, regardless of their circumstances. Marissa Alexander, a black woman domestic violence survivor who was criminalized for self-defense, was bullied into taking a three-year plea deal with the threat of a 60 year sentence behind bars although she fully contended that she was innocent of the charges against her. Threats of prolonged sentences that force people into submitting to state confinement is a form of manipulative state violence that must end. Finally, Bresha’s plea deal does nothing to transform the systemic failures that led to her imprisonment. Police and family services failed to support Bresha, essentially forcing her back into her violent home. How will these systems account for these failures, including offering restitution to Bresha Meadows and her family? What transformations will be secured to prevent the same failures from impacting the lives of other young people? How will we, as communities, account for our failure to protect children like Bresha, and ensure that fewer children are faced with desperate choices? We demand that all survivors have the right to defend their lives, especially Black girls and other youth of color who are targeted for punishment and criminalization. We also demand systemic change and accountability to truly support the lives of young people, including fully funded healthcare, affordable housing, and all of the social and economic resources it will take to truly reduce and transform all forms of gender violence. We believe wholeheartedly that Bresha’s case would not have come this far without the mass mobilization of thousands of supporters in Warren, across the United States, and around the world. 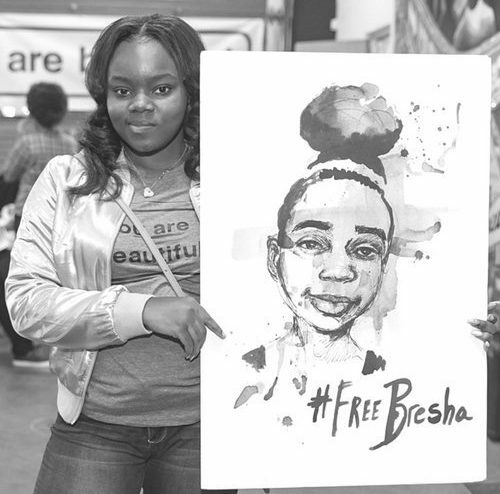 Young people are regularly punished and brutalized by the system behind closed doors, and Bresha’s case is a classic example of the ways our society punishes children for its own failures. Fortunately, Bresha’s case also provides an example of the powerful impact of mass action, including how to interrupt the normalization of violence against Black children and the violence of child incarceration. 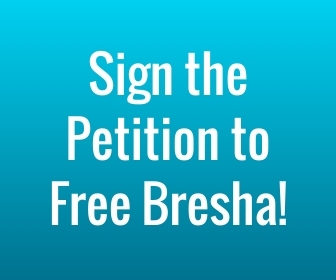 The Free Bresha campaign will continue to push for Bresha’s freedom until she is truly free. We ask all who support her to do the same. It is crucial that we continue to act in solidarity with Bresha and her family, and that we continue to raise the critical issues that her case illuminates. We must love and protect all children, especially those most vulnerable to violence, and we must defend our young people against the violence of incarceration.